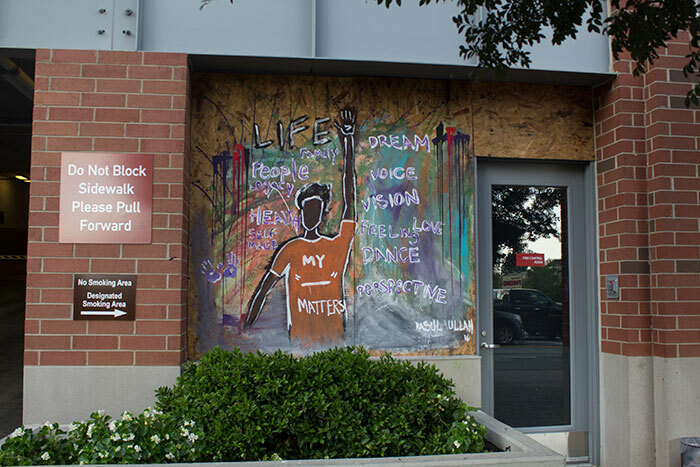 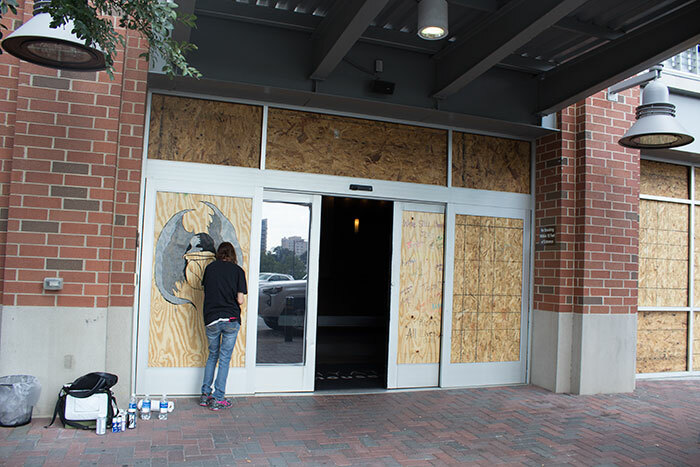 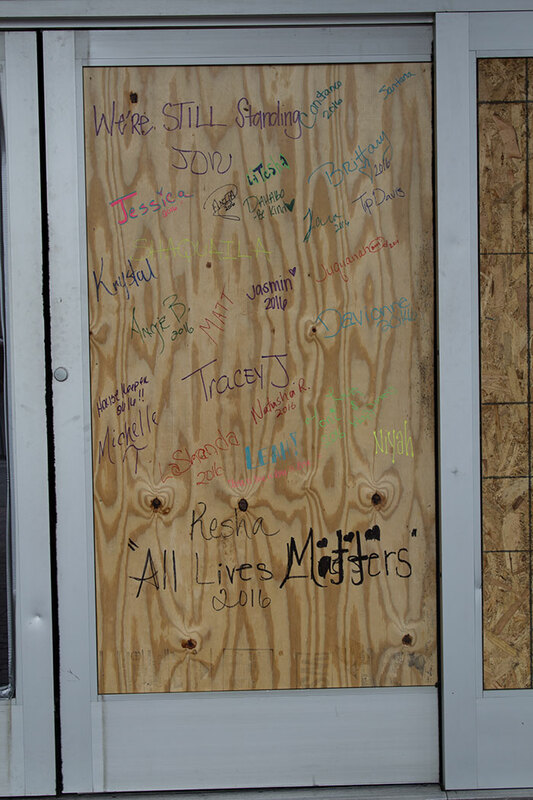 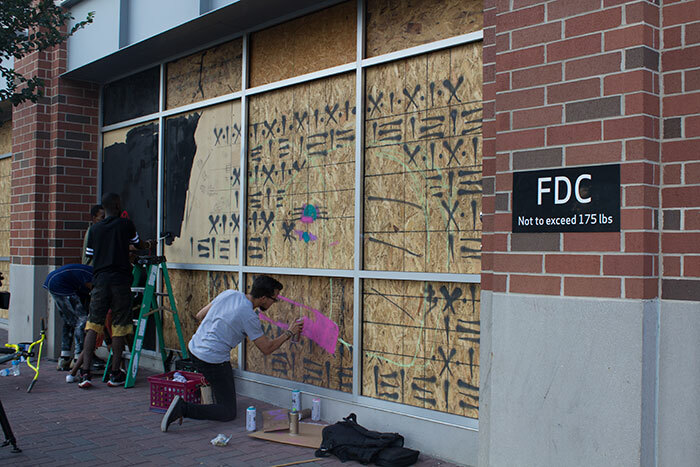 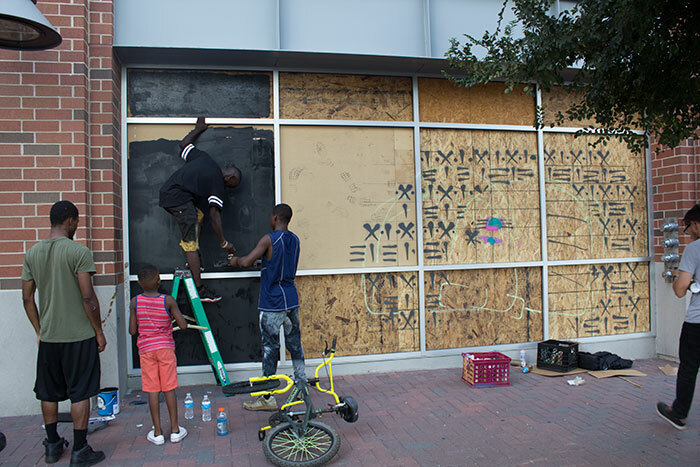 Sunday afternoon, local Charlotte artists gathered on the streets outside the Hyatt House Center City to turn the plywood planks across the 30 hotel windows broken during Wednesday’s protests into vibrant and inspiring murals. 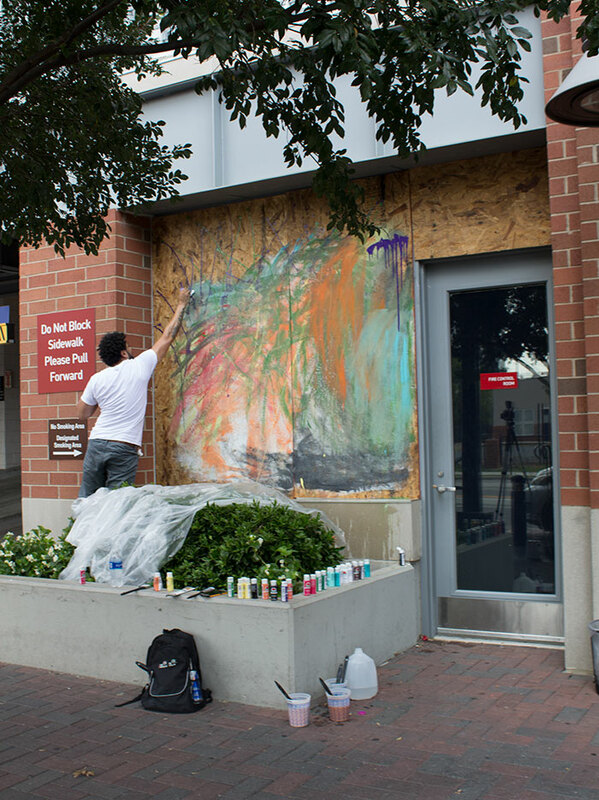 When Hotel Manager Matt Allen sent out a call for artists on Facebook Saturday night, the post quickly went viral. 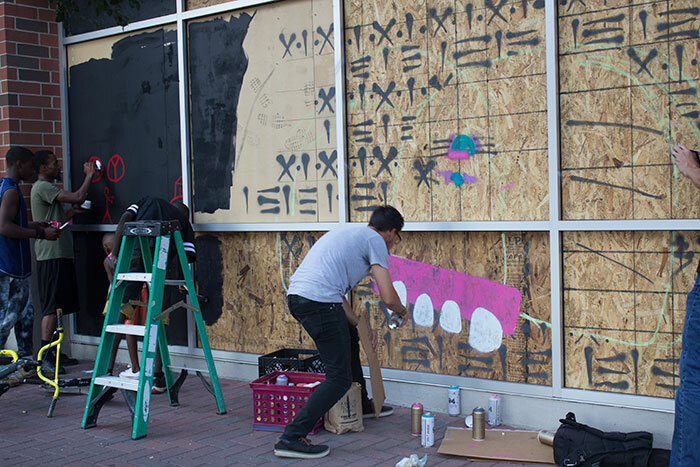 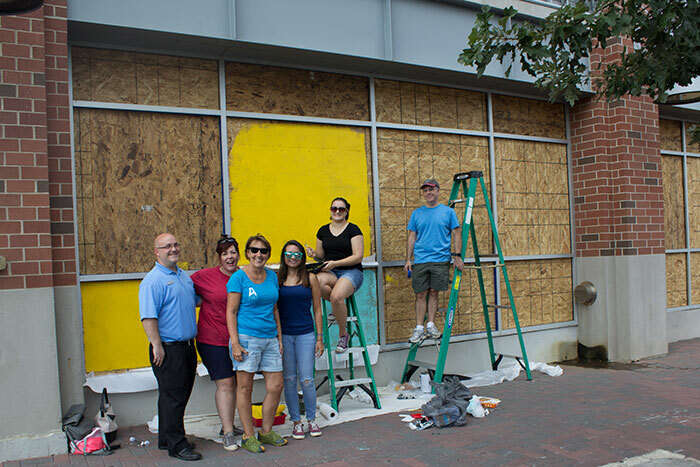 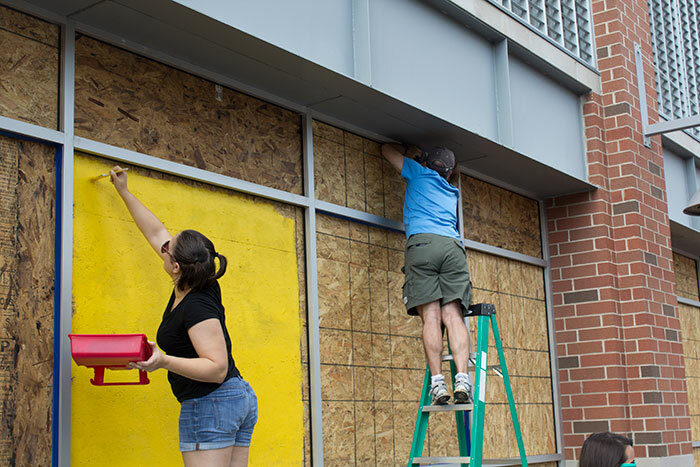 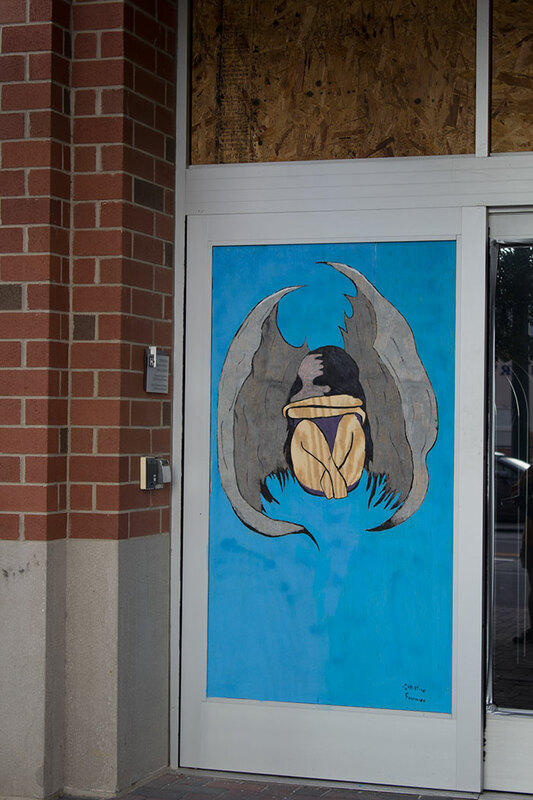 In less than 24 hours, numerous local artists were out painting, using the boarded up windows as canvases with supplies provided by the Charlotte Art League. 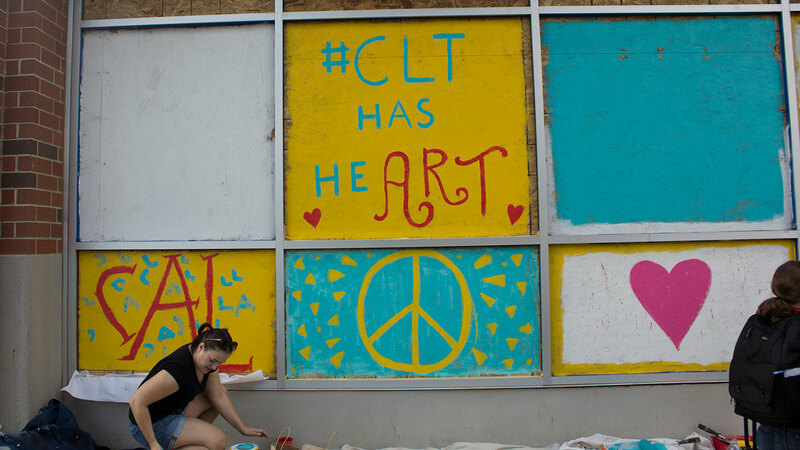 These images are a powerful symbol of unity and optimism for the city of Charlotte. 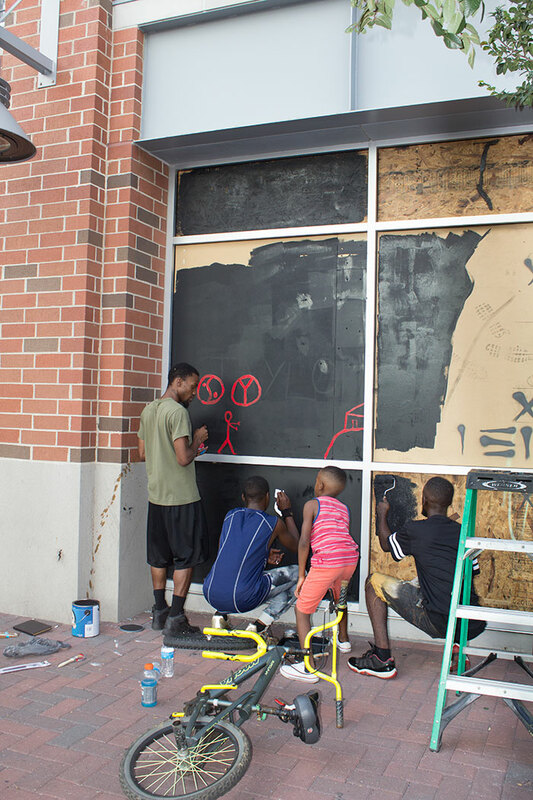 All are welcome to come by the Hyatt and add to the mural through tomorrow evening.